For many of us, there’s nothing more pleasurable than grabbing a book and settling down for a spell of reading. As children, our parents may have instilled in us a love of books and as adults, we probably have more books than we can ever read or comfortably house. If that sounds like you, then you need to hear the story of Alagappa Rammohan who has accumulated over 10,000 books during his lifetime and plans to establish a library with his books in his hometown in India after his death. If establishing your own library won’t work for you but downsizing demands you find a new home for your collection, then consider donating your books to prison libraries, who are always in need of hard copy books. And if you’ve given up paper books and have switched to a Kindle, you may welcome this advice about how to download free ebooks onto your Kindle. Of course, some of us are always on the prowl for new books to add to our collections. 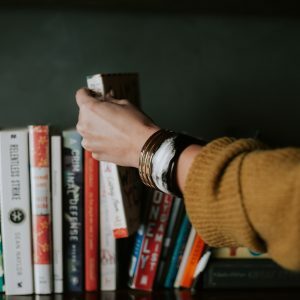 If you’re in the market for ideas about healthy aging, personal finance, happiness or self-help, then clear some space on your shelves and take a look at these suggestions from Next Avenue and The Fine Line. Finally, if you love reading and are looking for ways to connect with an older loved one, consider turning the tables and reading aloud to that person. It turns out there’s a lot of scientific evidence to support the cognitive benefits and emotional value when someone reads aloud to another. As the reader, it’s a way for you to connect and engage, especially with a lonely or isolated senior. So open a book, turn to page one, and take a look at the value of reading aloud here.